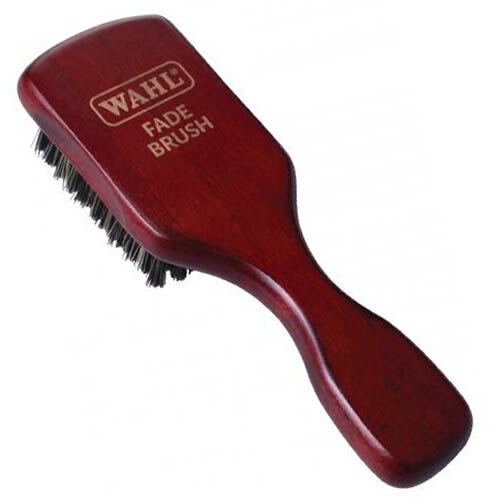 The Wahl Fade Brush has a mix of nylon and boar bristles that create a soft but firm action that helps to clearly define fade work. It's ideal for intricate clipper fade cuts and has been designed with a classic tear-drop shaped handle for maximum control and comfort. Adds texture and body to fine hair with a flexible hold—so styles can be remoulded at will—and a wet look finish. Comes in a 100 ml pot. Strong hold gel that's perfect for wet looks and quiffs. Also great on curly hair. Ultimate, long-lasting hold for extreme styles with a matt finish and no stickiness. Versatile clay wax that's great for giving hair texture and definition or for creating messy styles. Strong hold and watermelon fragrance. Works like a hairspray for men, just style, apply and hold for an ultimate set finish with no give.